Ushuaia is a unique place. It is the southernmost city in the world. Go past it, and you will find nothing but the vast stretches of the cold Southern Ocean until you reach Antarctica. So, essentially Ushuaia is the end of the civilized world. This in itself is a great reason to visit this city, but there are a lot more reasons as well. And one of them, of course, is skiing. Ushuaia lies in the southernmost tip of the South American continent, a place where the mighty Andes meets the ocean. So, with just a few kilometers away from the main city lies the Cerro Castor Ski Resort. This is one of the most unique ski resorts in the world, that mostly because it’s just 195 meters above the sea level. Most hills have an altitude higher than that. But since the place is near to the Antarctic Circle, it has a Tundra like a climate. With cold winters and cool summers. The average temperature is just between 1° C and 9° C. So, the skiing season is quite long at this resort. Another striking feature of the resort is the fact; there are just about 7 hours of sunlight during winters, which means you experience long periods of nightfall when you can just go out and explore the beautiful city of Ushuaia. Also, the Cerro Castor is very near to the ocean. There is the ocean on one side of the resort and mountains on the other three sides. This leads to the opportunity to capture some spellbinding views with your eyes to store them in your memory forever. The top of the ski resort is about 1000 meters above the sea level and is another spot from where you will get to see some magnificent panoramic views of the mountains. 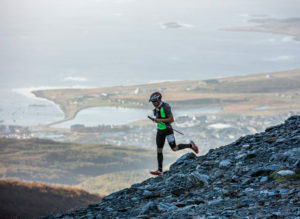 Ushuaia trail races are popular in the area. There are 30 kilometers of skiable land divided into 26 different trails. The difficulty of these trails ranges from beginner to expert. So, the resort has something to offer to you irrespective of your ability on the skis. The resort also has off piste sectors which are just perfect to walk on and enjoy yourself on the fresh powdery snow. The snow quality, in particular, has been a much talked about feature of this resort. 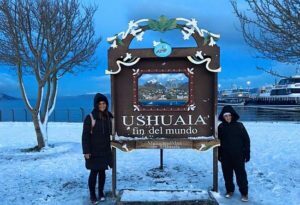 Ushuaia is in a region that receives constant snowfall during the winter. So, the snow is always fresh and powdery, just perfect for skiing. Some of the 26 trails pass right through the Lenga forests. It is really fun to enjoy these trails on a snowshoeing trip. The forests are just beautiful on a sunny day. The light falls through the leaves illuminating the white of the snow and the greenery of trees, both of which combine to form an image that will long linger in the memories of those who embark on the tour. Cerro Castor ride to the ski area. Cerro Castor is a very modern resort. 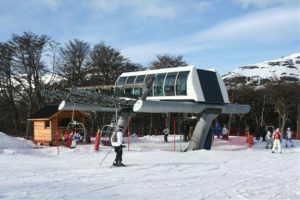 It is the youngest of the major skiing destinations in Argentina and thus has some of the best equipment and technology present. The accommodations, the food and other entertainment on offer are simply splendid making a stay at this resort a very comfortable and enjoyable experience. Cerro Castor lies about 26 kilometers away from the main city of Ushuaia which is hardly a 35-40 minute drive through the well-laid roads. The best season to visit the resort is from June to October when the snow is fresh and of the best quality. The resort also offers other activities to do such as snowboarding, skiing lessons, etc. If you are someone who has never touched a pair of skis in your life, do not fret. There are instructors in the recent whom you can hire to teach you the basics and help you along the way. They are polite and highly professional thus making your learning experience a very enjoyable one. Ushuaia might be the end of the world, but it is also the beginning of everything. At least that is what the motto in the city’s coat of arms says. And after visiting this charming winter town, you may start believing that there is a lot of truth behind that motto.